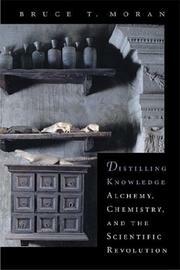 A study of how alchemy contributed to the rise of science. Moran (History/Univ. Nevada at Reno) argues that alchemy, often depicted as bearing the same relation to chemistry that astrology does to astronomy, was a far more experimental and practical-oriented field of study than is commonly believed. Alchemy, he points out, developed over the course of several centuries, with its practitioners bringing a wide range of assumptions and methods to bear. While the modern image of alchemy focuses on the philosopher’s stone and the transmutation of base metals to gold, there was always a strong element of medicine and pharmacy in the art. Paracelsus (1493?–1541), one of the central figures in the spread of alchemical doctrine, was in his time perceived primarily as a physician. He saw practical experience as a superior source of knowledge to academic theory, and he urged the physician/alchemist to discover the powers of natural substances to cure illnesses rather than relying on theory. And, as much as any modern chemist, he emphasized precision in weighing and measuring the ingredients in his “recipes.” When his teachings began to enter into the universities, it was the beginning of the systematic study of chemistry. Moran also makes much of the interest of such scientific pioneers as Galileo, Newton and Boyle in alchemy, pointing out that the alchemists’ recipes and techniques were frequently the foundation of later chemical theory. What he generally ignores is that the alchemists’ own theoretical speculations, such as Paracelsus’ contention that matter was a mixture of salt, sulfur and mercury, contributed little to the advances of Lavoisier and the other pioneers of scientific chemistry. There’s a certain merit in Moran’s suggestion that alchemy should be recognized as a valid early science. Unfortunately, though, his plodding rehearsal of it is unlikely to get many readers excited.